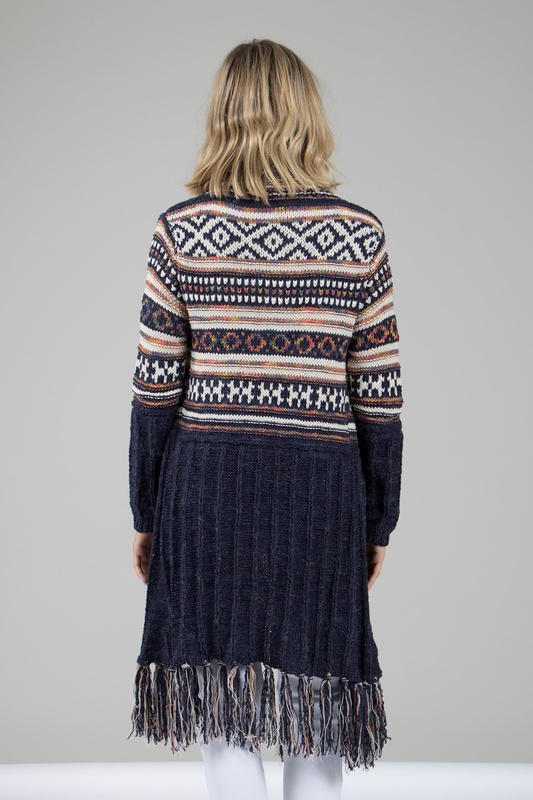 This multi colour cardigan is just the needed colour you need in your layering game this winter! Features edge to edge neckline, fun tassels at hemline with long sleeves. Simply pair with your favourite boots for a instant boost to your smart casual ensemble.